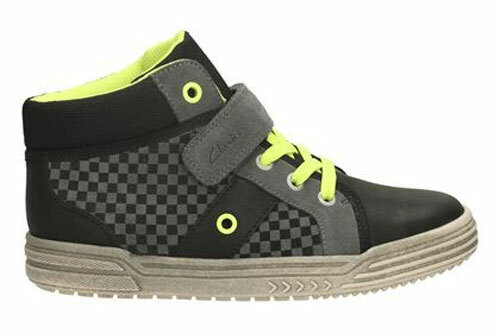 Clarks Chad Deck – add style to casual wear with Clarks Chad Deck shoe. 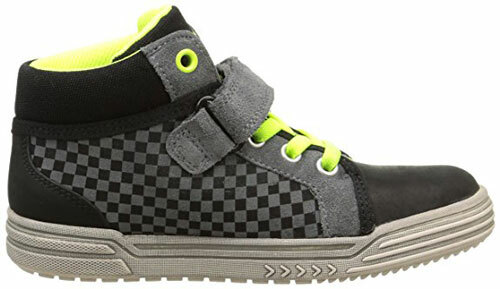 This black leather high-top shoe has a stylish look that your little one will love. Its sides are adorned with checker board panels. 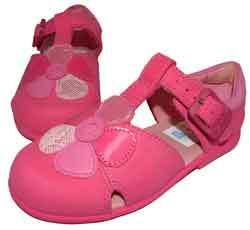 A riptape and elastic lace closure offers a comfortable and snug fit. 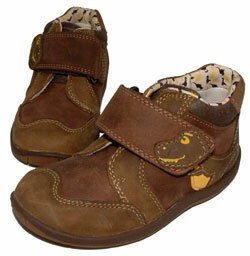 A padded collar and tongue ensures protection for your little one’s foot. 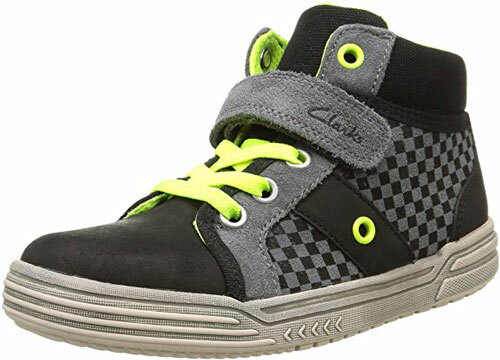 The pair has a Max Spring FX technology that features a gel pad that cushions the foot and absorbs impact. Furthermore, Agion linings help to keep bacteria at bay.